I saw a tute here concerning making a square in a square. Can't seem to find it. I remember that it was super easy and that you placed a square on top of the previous square. 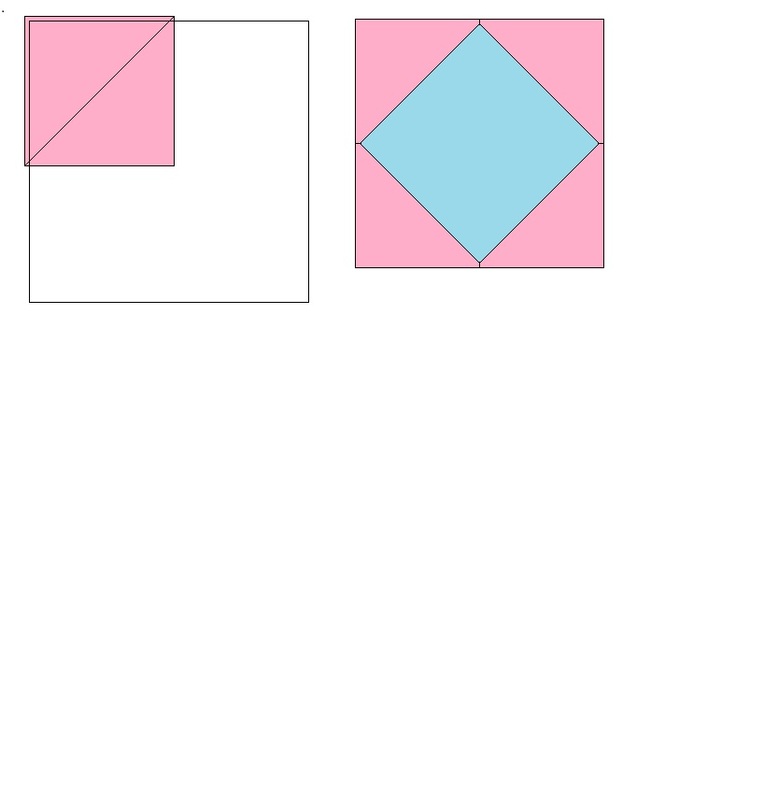 Cut two same size squares. sew them together around 4 sides. Pick the one you want to be the outside of the square and draw a line from corner to corner so that you hav an X marked on the block. carefully cut on the lines. Flatten out and iron. There you have it!!! Square in a square!! I'll have to try that. Does it leave a seam allowance that keeps the points? Yes it does. sometimes tho you may have to do a scant 1/4" I have found that if you get in a hurry your seams will be off. I find that if you cut your corner squares about 3/8" to 1/2" larger than half the size of the base square, you will have a slight "float" of the square in the middle, and that makes your points sharp and crisp when you sew the square-in-a-square block to your next block. Last edited by Jan in VA; 04-29-2012 at 06:44 PM.